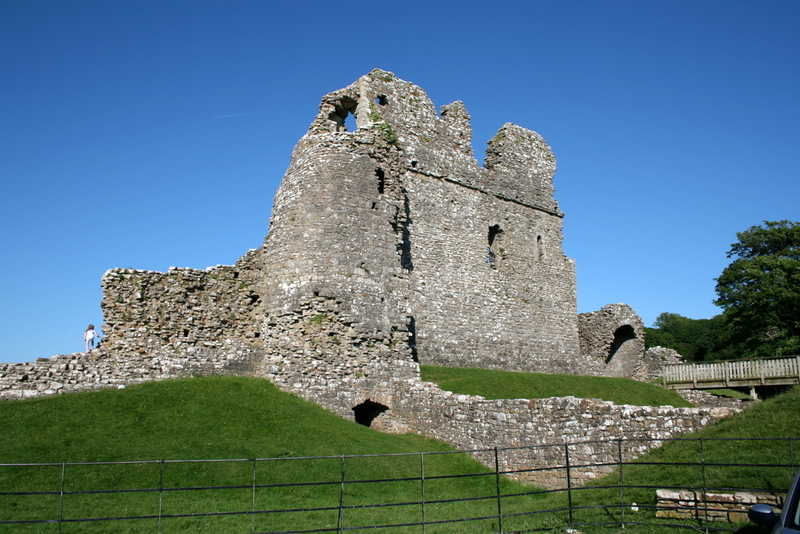 Yesterday we visited Ogmore Castle. The castle dates from about 1116. It’s pretty unusual as it is low-lying and right next to the river Ogmore. There is a moat that apparently used to fill at high tide (the River Ogmore is tidal here). Not much remains of the castle now but it’s still worth a visit. 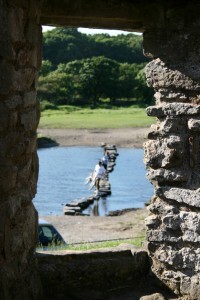 Adjacent to the castle there are stepping stones across the river which can only be crossed when the tide is low. The kids will love it! Be careful as the stones can get quite slippery though the river is not that deep here anyway. 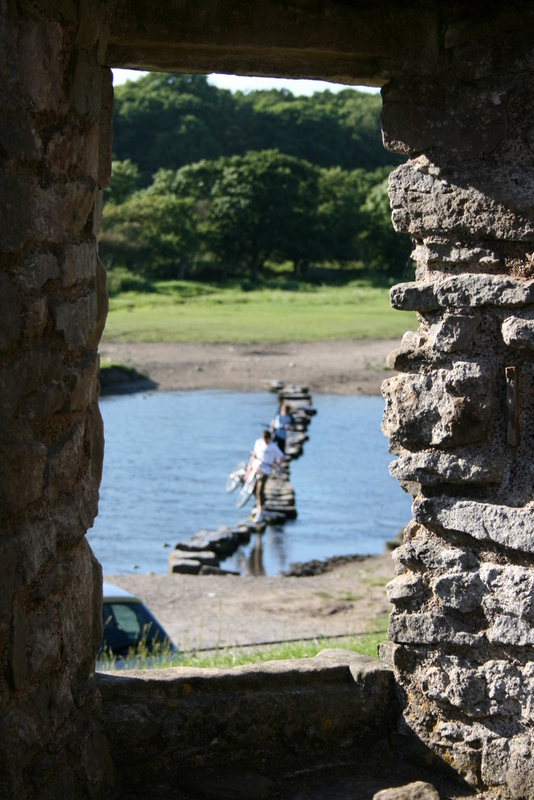 You can cross the stepping stones and walk on across the fields to Merthyr Mawr village and the sand dunes. There is a small car-park next to the castle and river but this can get quite busy when the weather is sunny! Be warned – the car-park floods at certain high tides so you may return to find your pride & joy under several feet of water! You may wish to park in the nearby Pelican Inn which is very popular, and end your visit with a beer or two, or a meal!